Hip Hop Songs 2018 – Gambit Family » Jay Ea$e: T.I.M.E. 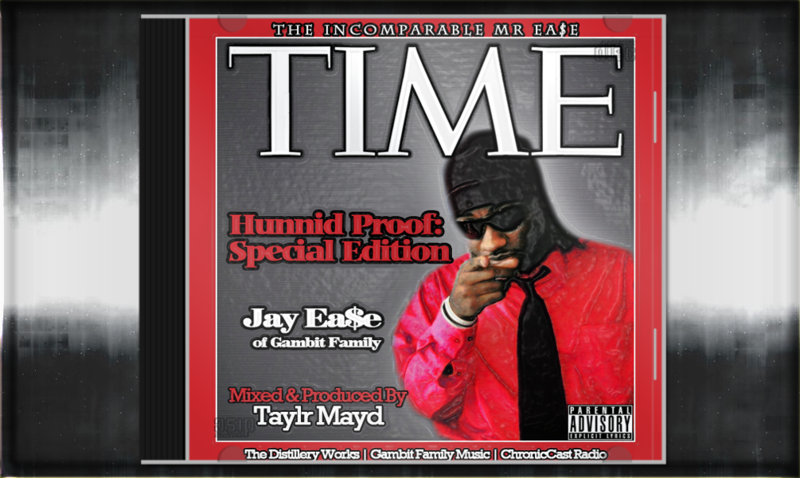 Home » Portfolio » Jay Ea$e: T.I.M.E. The solo debut of Jay-Ea$e from Gambit Family hosted by Slip-N-Slide DJ’s Taylr Mayd Ph.D. Jay-Ea$e is widely known for his patient delivery, direct wordplay, commanding voice, and his trademark laugh. This mixtape offers a different approach but a more complete look inside artistry of Jay-Ea$e. He didn’t rely as much on his trademark style and delivered a more rapid and energetic presence on the project. He chose to make more of an album then a mix-tape to in order to fully showcase the diversity of his solo song writing. In essence he presents to his fan-base a balanced album covering all popular sub-genres of Hip-Hop. Although he’s never complete a solo project to date he delivers a solid performance that is a definite must hear. The album is the fastest downloaded solo album by a Gambit Family member since the inception of the group. Posted by Adminstrator in Solo on February 14th, 2014. This post has Comments Off on Jay Ea$e: T.I.M.E..